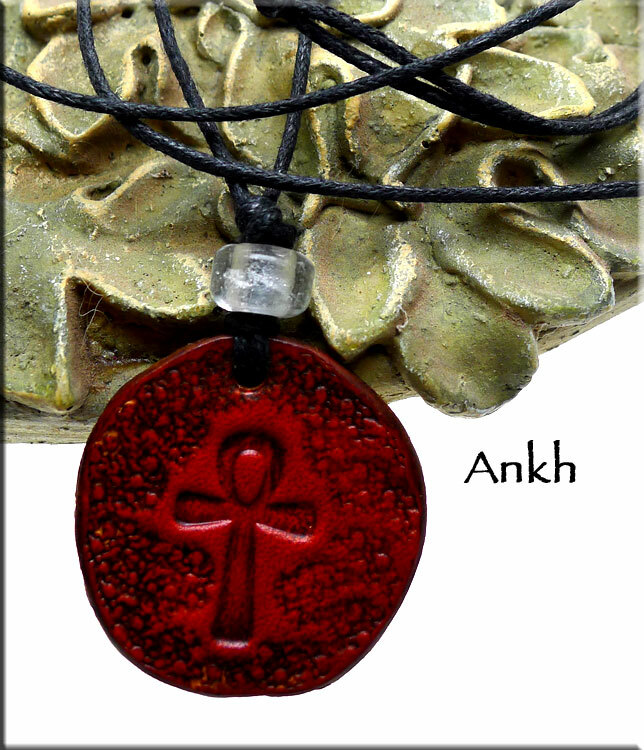 One of a Kind Leather Necklace featuring the Egyptian Ankh. The Ankh was, for the ancient Egyptians, the symbol (the actual Hieroglyphic sign) of life but it is an enduring icon that remains with us even today as a Christian cross. 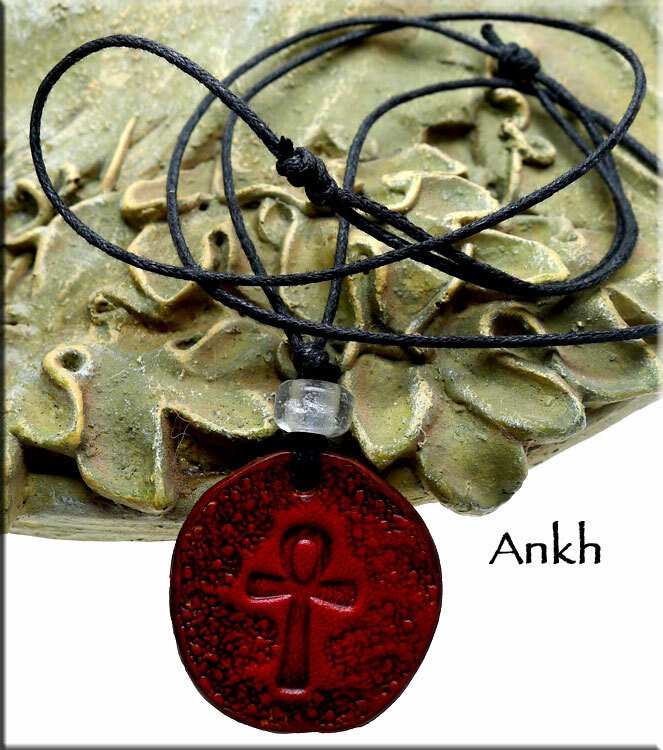 The Ankh is possibly one of the most widely recognized symbols other than the cross, sacred to the ancient Egyptians, and often used as an amulet, this symbol is basically the T or Tau cross supporting a circular shape. Giving the appearance of the shape of a key, in Egyptian hieroglyphics this symbol stands for life or living, and forms part of the Egyptian words such as 'health' and 'happiness'. Linked with Egyptian gods and goddesses, such as Isis (eternal mother and High Priestess) and Osiris, most gods would appear to have possessed the ankh, to symbolize life, sexual union, and immortality. It is thus often referred to as the Key of Life, or even the cross of life, because of its creative power. The loop of the ankh is considered to be the feminine, whilst the T shape is considered to be the masculine staff. Together, these symbols reflect a continued existence. Overall Leather Focal Pendant Measurement ~32mm (just a smidge over 1-1/4"). Necklace is crafted of Waxed Cotton and is slide-knot adjustable from 14-inches up to 30-inches. Eco-friendly dyes and sealants are always used. As each Pendant is Hand-crafted and Contains Natural Materials, slight Variations should always be Expected. All contents of this shoppe © TheWitchsCorner™ by Silver Enchantments™ LLC. * Sorry, this item does not qualify for any additional discounts. * This is a Custom-Made, Hand-crafted Item -- Please Allow 2 Weeks for Shipment as each is Hand-made. Please see our Leather Care Section for Important Information.